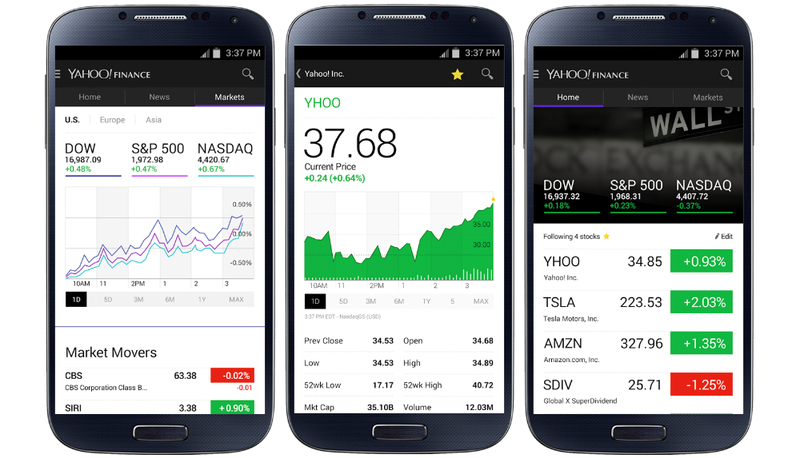 For the financial savvy among us, Yahoo has updated its official Yahoo Finance application for Android users. Included in the update, which is now live on Google Play, a revamped user interface awaits you, full of interactive graphs and intuitive navigation menus. Also included in the update is a new “watchlist” feature, which allows users to add certain stocks to a favorite list. This way, finding stocks that are important to you with higher detail is much quicker. Finally, push alerts and breaking news on stocks will let you stay on the top of your game, giving you up-to-date information on the Wall Street happenings as it goes down. You can pick it up on Google Play for the price of free. Add stocks to your watchlist for real-time quotes and personalized news. Get push alerts and breaking news on stocks you follow and the general market. A completely redesigned experience with sleek, intuitive navigation.